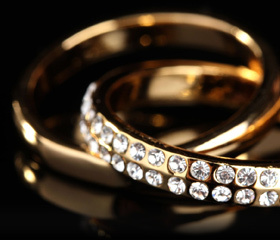 Pickwick Investments Ltd is one of the UKs best established and rapidly expanding cash and retail services businesses under its brand, Pickwick Jewellers and Pawnbrokers, with a network of branches offering a range of financial and retail services to customers. We have a significant retail jewellery business from our stores and an ever growing jewellery repairs and cleaning business. 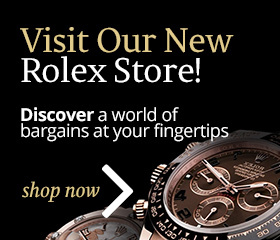 We also stock a large number of pre-owned Rolex watches. Besides pawnbroking loans we offer a range of consumer friendly cash services that includes selling and buying foreign currency, 28 day buy-backs, third party cheque cashing and buying-in scrap gold and silver for instant cash. Career opportunities exist for the right person to join the growing Pickwick Jewellers and Pawnbrokers team and the long service record of our current employees is testimony to our excellent working conditions and pay structure. We believe in a professional and high quality approach to the services we provide customers and in rewarding our staff for dedication and commitment to the success of the Company and we also firmly believe in the importance of enjoying our work and being happy in the workplace too! Training is key to the professional ability of staff and our in-house, on the job training gives every person, with or without experience, the opportunity to develop and succeed in the business. We believe in internal promotion wherever possible. Our stores open 9am – 5.30pm and are open six days per week with your working week being five days. You will be required to work Saturdays and take a day off in the week. Daily tasks are varied - from setting up jewellery displays, maintaining jewellery stock levels, processing customer pawnbroking loans, buying-in scrap gold, cheque cashing, handling foreign currency, banking cheques, store promotions, testing jewellery, computer data entry, creating new customer accounts, sales and even more! If you think you can work for a professional, fast moving and innovative company like Pickwick Jewellers and Pawnbrokers - then what are you waiting for?...... send us your CV! We believe in rewarding our staff for dedication and commitment to the success of the company.